The Annual General Meeting (AGM) of the ISD Association will be held on Thursday, April 23, 2015. The AGM is the yearly meeting of members of the ISD Association, i.e. all ISD parents and guardians, ISD faculty and the school director. At the AGM, ISD’s governing body, the Board of Trustees, reports on goals, activities and work carried out throughout the year to further the well-being of ISD. The school Director reports on milestones and achievements over the past year, school growth, budget and finances as well as ongoing programs to provide the best possible educational opportunities to children attending ISD. At the AGM, new trustees are elected to the ISD Board. Trustees are elected from the ISD parent community to serve for two-year terms. Please see next week’s Jaguar Journal for more on trustee elections. At the AGM, members of the ISD Association (parents and faculty) voice their opinion, by voting on important questions affecting ISD such as amendments to school bylaws. This is an opportunity to honor ISD faculty and staff members who have achieved career milestones of 5, 10, 15, 20 25 and even more years of service at ISD. Each year, the number of staff members that receive long-service awards at the AGM is a testament to the dedication of ISD’s staff. The AGM offers the ISD community a chance to recognize this and express its appreciation. 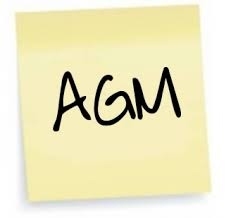 The Board and school administration value the support of the ISD community and we encourage parents to attend the AGM. This is a great opportunity to get to know ISD better, ask questions, learn more about how the school works and is run. It is also a good time to meet other members of the ISD community over refreshments!